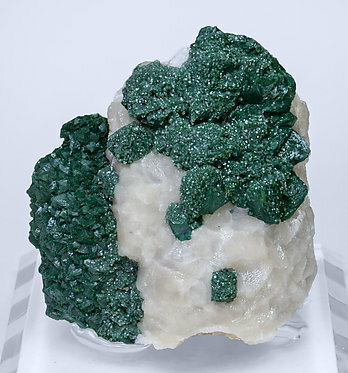 Aggregate of Malachite pseudomorphous after dodecahedral Cuprite crystals, with smooth and very well defined faces, free of further alteration. A French classic and an excellent miniature. 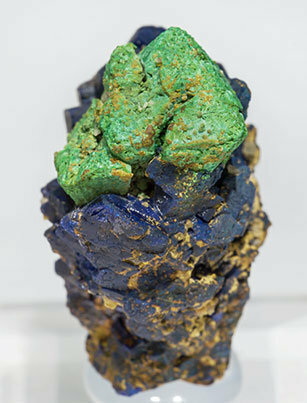 Complete floater group of very sharp pseudocrystals after cuprite, which are octahedrons beveled by the dodecahedron. The sample is from recent and surprising finds on the old dumps area at Chessy. 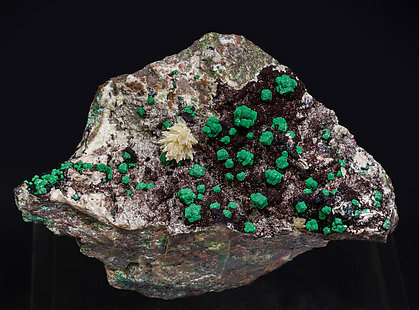 Classic aggregate of Malachite crystals pseudomorphous after Cuprite. 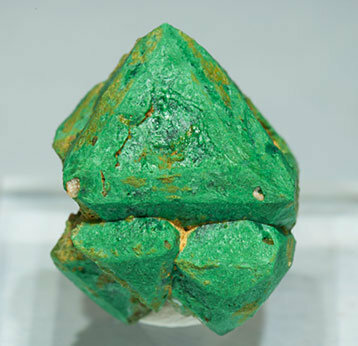 They have an octahedral shape beveled by the dodecahedron and are on a matrix of tabular Azurite crystals. 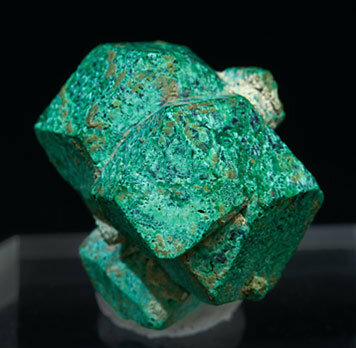 Small groups of Malachite crystals after dodecahedral Cuprite. 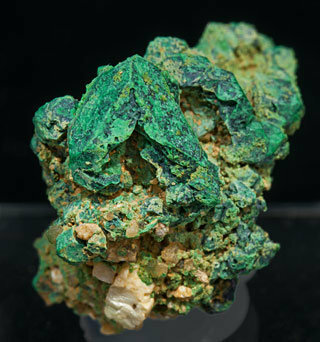 They have very well defined faces and edges and are on matrix with a divergent spray of acicular Mimetite crystals.